The truck hit multiple cars. There was an explosion. Investigators said the fire was so intense they couldn’t read the license plates on some of the cars. Seven people died. But for years prior, tolls had problems. Commuters in southwest Connecticut complained they bore most of the fees. News reports at the time documented foggy days and fender benders at toll plazas. And there were other fatal accidents, too. All of that led state leaders to reverse course and eliminate tolls. And this April, it will be 30 years since the last bit of change dropped into a Connecticut toll booth. This Wednesday, Governor Ned Lamont re-introduced the idea of tolling in his budget address, saying toll money could be used to rebuild highways and bridges suffering from decades of neglect. That’s because when Connecticut eliminated tolling booths completely in 1989, it also got rid of lots of money. And when that money vanished, debate about resurrecting tolls re-appeared. Only no one wanted to touch it. 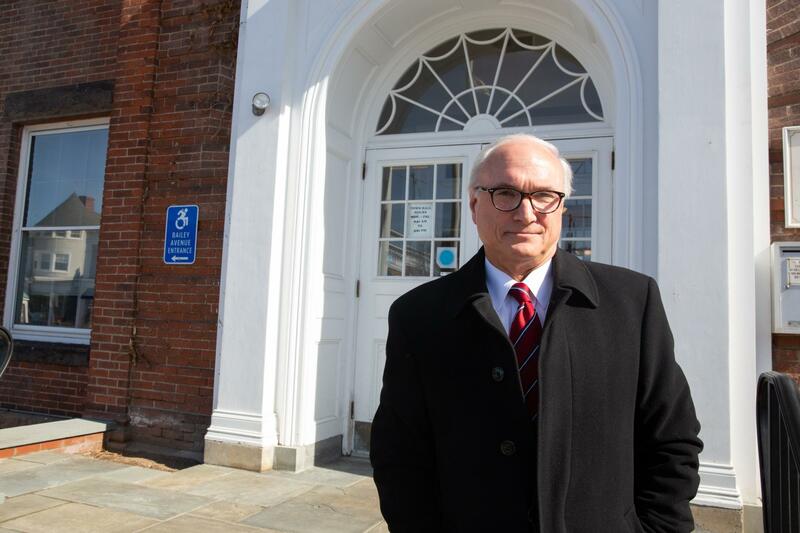 “We’ve been talking about this for close to 20 years now - and we still haven’t come up with an alternative,” said Rudy Marconi, first selectman of Ridgefield and president of the Connecticut Council of Small Towns. Rudy Marconi said highway tolls could help pay for infrastructure improvements in his area of the state. ''Traffic is a nightmare in southwestern Connecticut,'' he said. Marconi said tolls are all over the East coast. And the legislature loves to study them. Lamont says he wants to lead on that decision, and he argues tolls are essential for Connecticut to grow. And even though he said during the campaign he’d just toll trucks, Lamont now believes that in order to pay for all the upgrades he wants to do, cars need to be tolled, as well. “I would only consider this option if we maximize the discount for Connecticut EZ pass users and offer a frequent driver discount for those who require frequent use of our major roadways,” Lamont told legislators Wednesday. Lamont said tolls could eventually bring in $800 million each year. And toll booths? The ones that caused all those accidents? Well, they’d be gone. Replaced with dozens of overhead EZ pass gantries on Interstates 84, 91, 95 and Route 15. Lamont wants it all rolling by 2025. But lawmakers need to approve it. 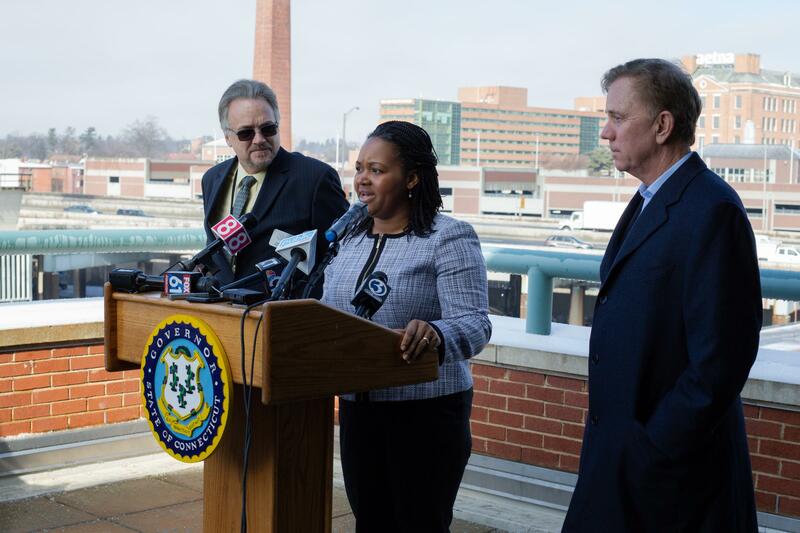 Office of Policy and Management Secretary Melissa McCaw and Department of Transportation Commissioner Joseph Giulietti (left) speak alongside Governor Ned Lamont in a press conference Thursday about Connecticut's transportation needs. Senate Republican Leader Len Fasano says for that to happen, he needs a lot more detail. Like how toll fees are calculated. At a rest stop on I-95 in Fairfield, reactions to tolls are mixed. Some support the idea, if the money is used to fix roads. One man says he just uses his GPS to avoid tolls. Wilton resident Julie Higgins said she’s not necessarily opposed to tolls, but thinks Connecticut drivers are already pretty squeezed. Higgins said that makes tolls slightly more appealing. But it’s not enough to keep here here. “I’m about to leave Connecticut. Moving to another state,” she said. And it’s one that also has tolls. Which means soon, Higgins will drive south -- and pay tolls -- on the road to the next chapter of her life. Frankie Graziano contributed to this report.